The stall owner is an elderly couple. The Auntie might not be the friendlier and she is also not too smiley. She often randomly asked whether are you sitting nearby and if so, she will offer to bring it over or else it is self-service. 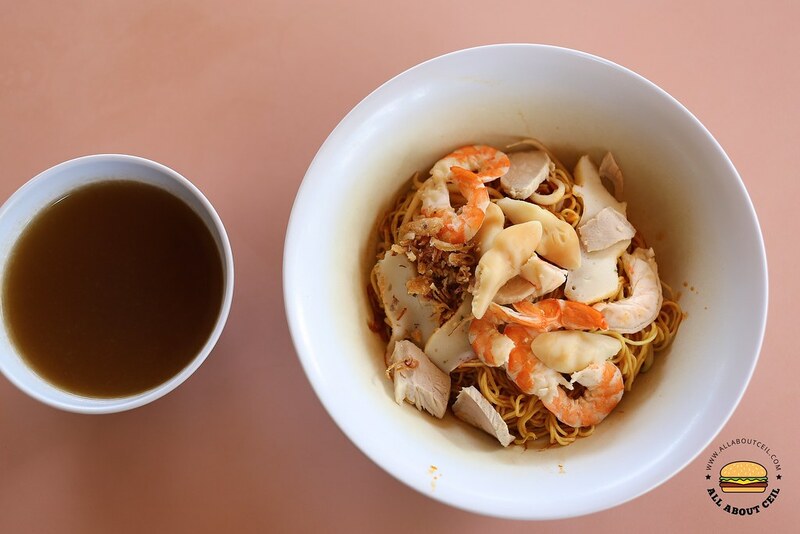 Prawn Mee is the only item on their menu, you could choose to have it dry or in the soup, for $3 or $4 and you could also choose to have it with their canned razor clams for $4 or $5. There are a few types of noodles like the usual mee pok or mee kia, kway teow and also the yellow noodles for selection. This stall is closed most of the times. I asked the Auntie once, "When is the usual off-day?" And, she replied, "Indefinitely". I said, "It is usually closed when I was here for lunch." She replied, "We usually sold out quite early." I guess that must be the reason why it was always closed when I was there for lunch. It was also mostly closed even I made an effort to be there early. I was their only customer at 11 am, I ordered directly with the Uncle as Auntie was not there but seated at the table in front of their stall. I went with the $5 portion of dry mee kia and requested for an extra amount of chilli added. This is unlike the others that usually serve it with pork ribs. 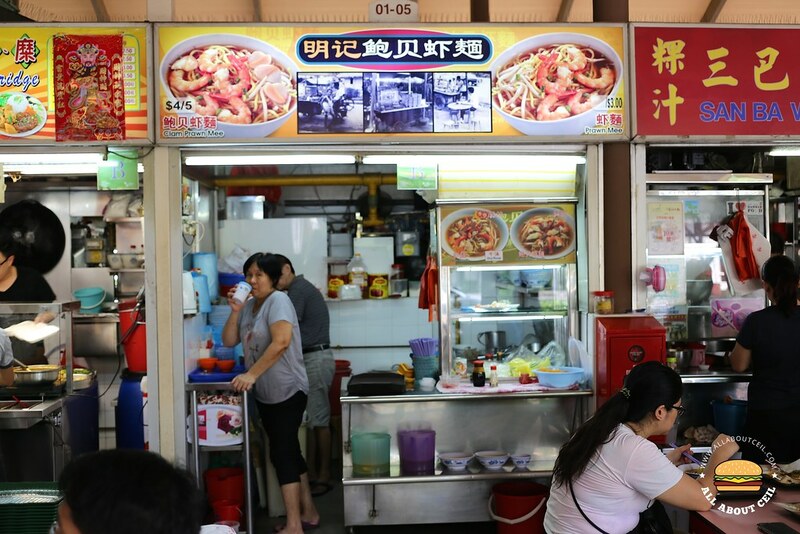 Here, they include the canned razor clams as part of the ingredients together with slices of fishcake and lean meat together with peeled halved prawns, it is served along with a bowl of soup that has a mild prawn flavour. 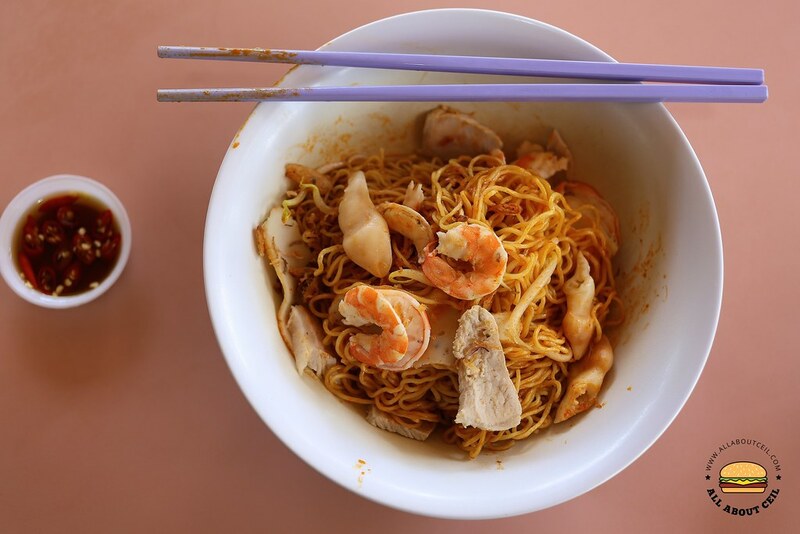 It is a bowl of hearty and no-frills Prawn Mee that I am always looking forward to eating it again.